Experiencing Data is a business podcast featuring interviews with enterprise data product managers, data scientists, and analytics leaders on the roles that design and UX have in creating delightful decision support software. 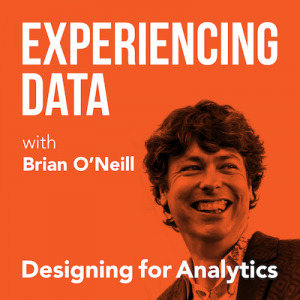 Brian O’Neill (Founder and Principal @ Designing for Analytics) interviews enterprise data product managers, data scientists, and analytics leaders and discusses the roles that design and UX have in creating useful, usable, and valuable decision support software. 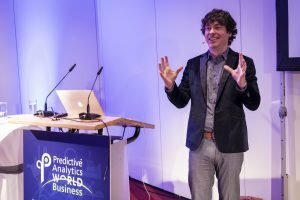 From advanced analytics and machine learning applications to AI, BI, and SAAS products, Brian shares the stories of software leaders in their journeys to create meaningful value from data, simpler tools and analytics, and better user experiences with data. The show also features special episodes on the role data is playing in the world of music, and the bumper music was composed by Brian for his ensemble, Mr. Ho's Orchestrotica, from the album, Where Here Meets There. Get updates on new episodes of Experiencing Data plus my occasional insights on design and UX for custom enterprise data products and apps.